Going with the theme of the month, I thought this would be a great time to share this recipe. I’ve been seeing some inspiring post on Instagram and so many people are raving about beets these day. I feel like I’m seeing them everywhere. I just adore this deeply hued root vegetable. 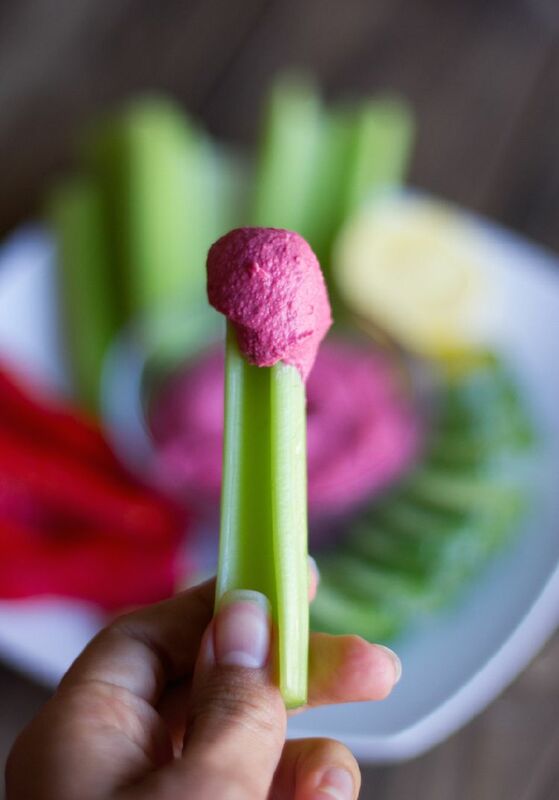 Whether in a juice, salad, or you know…hummus, you can’t go wrong. 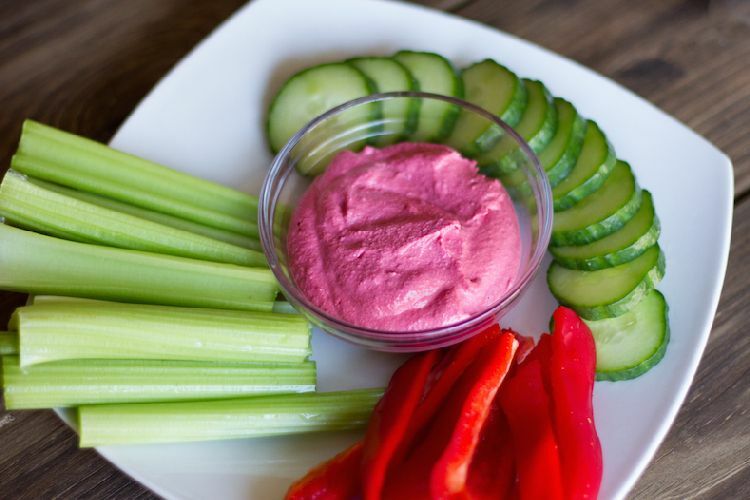 This pretty pink dip will give your plate some color while giving your taste buds a satisfying sweet spin on the traditional Mediterranean spread. Use it at home for a snack or take to a party to share. It’s actually quite impressive to serve to guests, especially this time of year. It’s a really great way to enjoy Valentine’s Day, without all the candy & chocolate. 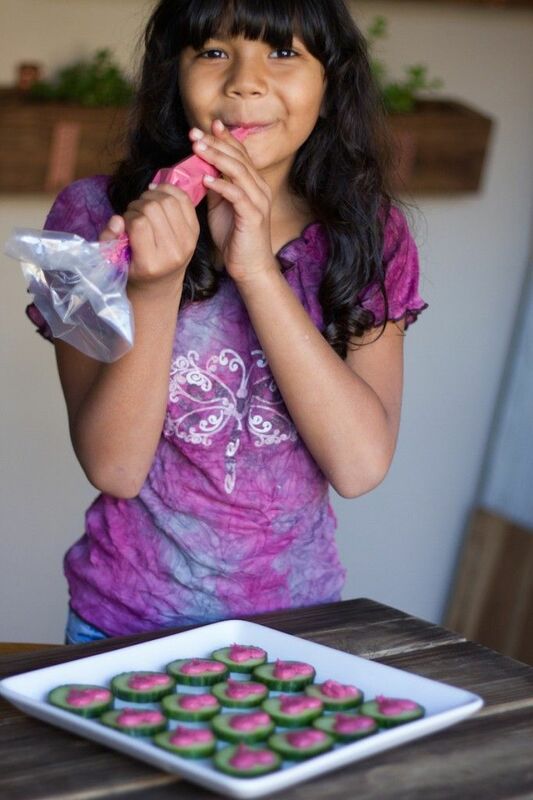 But if you are in the mood for something sweet, check out this healthy sweet treat. 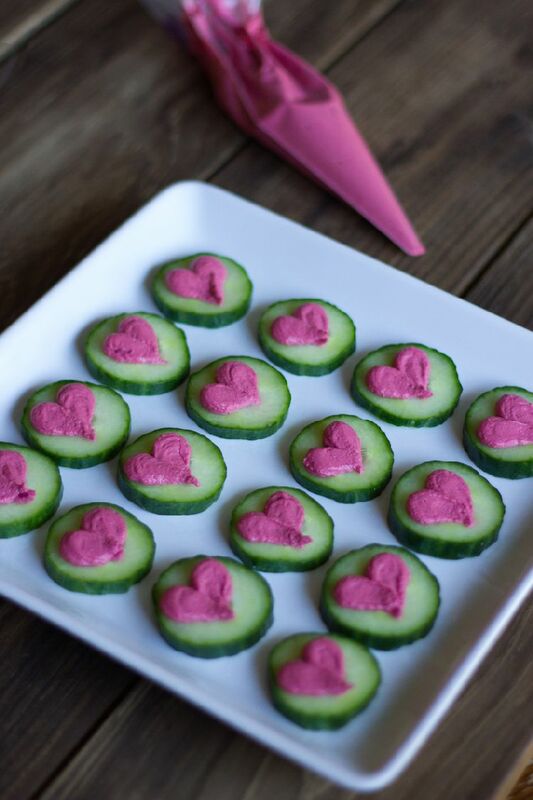 Beet hummus is super easy to make and goes with just about any vegetable. Just throw everything into your food processor, puree until smooth, and that’s it! Serve with an array of your favorite colorful vegetables or use it to make heart toppers for cucumber slices. Traditional hummus is delicious, but it's always fun to spice things up. 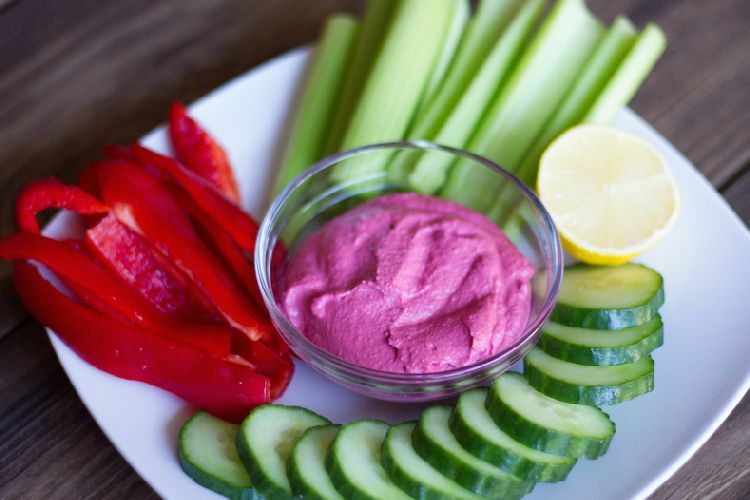 This recipe uses nutrient-rich beets to create a sweet, healthy dip that goes great with anything. 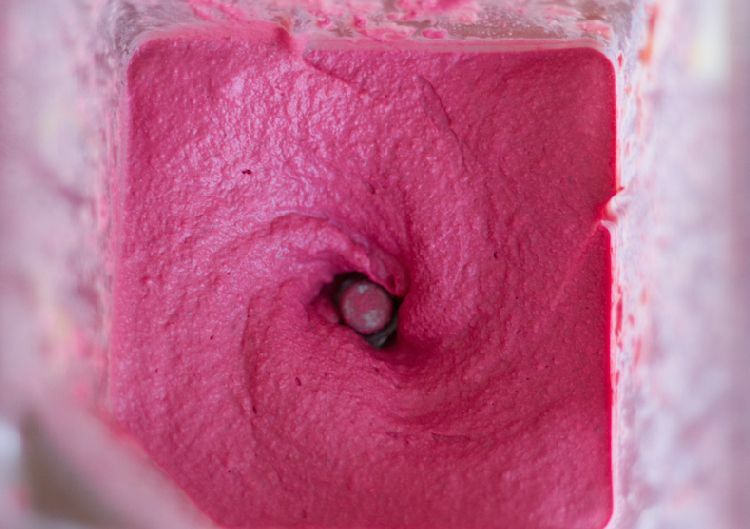 In your food processor, combine garbanzo beans, tahini, lemon juice, garlic, beet (chopped), and salt & pepper. Pulse until smooth and creamy. Enjoy! Beets have such a wide range of health benefits because of their nutritional content including vitamins, minerals, and organic compounds like carotenoids, glycine, betaine, dietary fiber, vitamin C, magnesium, iron, copper and phosphorus. While also being a source of beneficial flavonoids called anthocyanins. Beets aid in the treatment of anemia, indigestion, constipation, kidney disorders, dandruff, gall bladder disorders, cancer, and heart disease. They also helps to prevent macular degeneration, improve blood circulation, aid in skin care, prevent cataracts and mediate respiratory problems. Beets are very low in calories, with no added cholesterol. They do however have a high sugar content but are also high in fiber as well.